Just when it seemed impossible to find untrammeled biking track in Europe we’re here to remind you that optimism pays off. 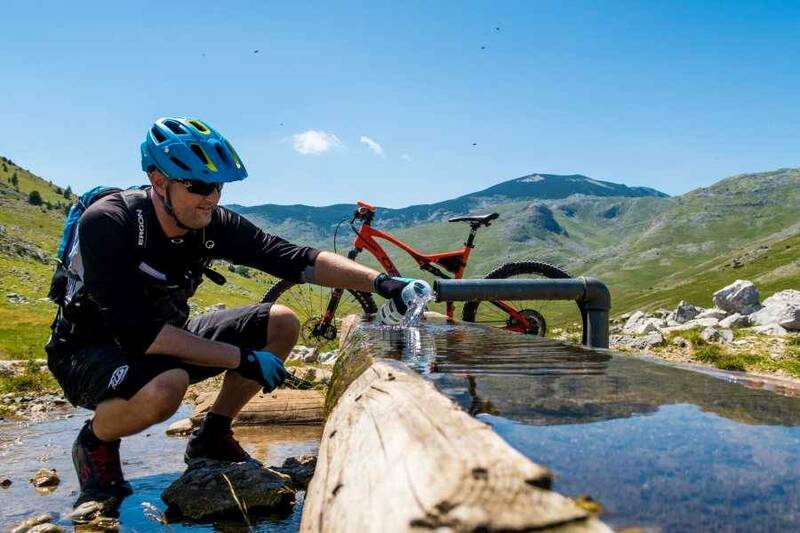 The ancient highland caravan routes that linked mountain towns for centuries now make for a heavenly biking track system and here is your dream trip to get you going. 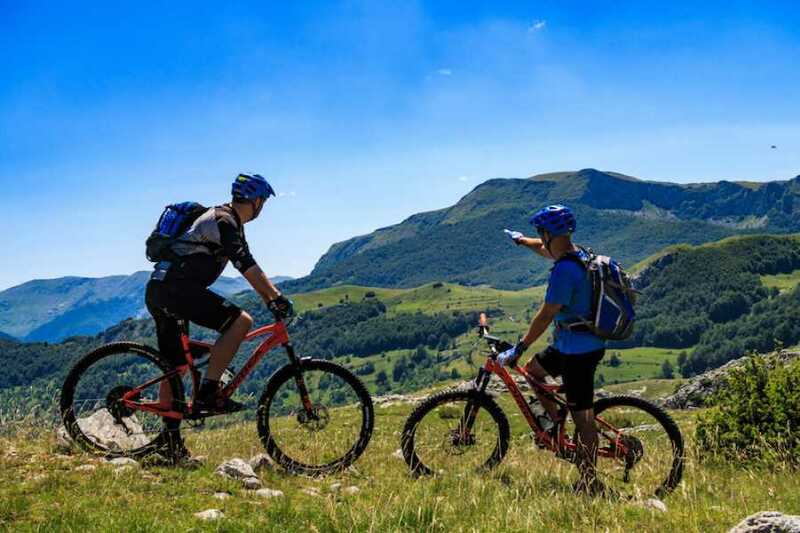 Our Mountain Biking in Bosnia trip will be an adventure you’ll never forget. The morning starts with a city bike ride through Sarajevo in a direction to Hrasnica from which begins our gradual ascent through the thick pinewood forests of Igman mountain following ‘’Igman war route’’ via Hrasnica. Igman too hosted several winter Olympic events, including the ski jump and cross country. 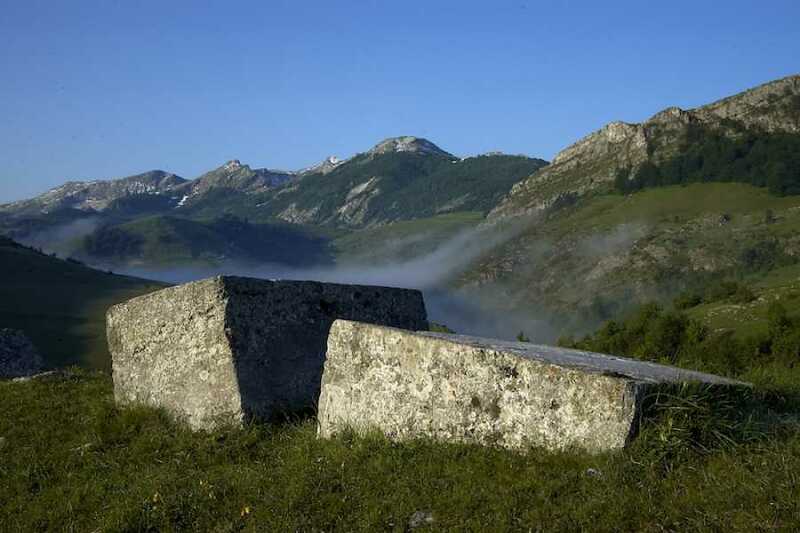 Igman, however, was also the only lifeline into Sarajevo during its 1000 day blockade in the conflict raging through Bosnia and Herzegovina at the beginning of the ’90s. We will take the exact route over Igman from Sarajevo as many Sarajevans did. The ride will be 4-5 hours in length with drive mostly on a gravel road and an elevation gain of about 900m. We will finish today’s ride on Hrasnicki stan venue and overnight at Igmanska Rosa mountain hut. Today’s route takes us through the Bjelasnica ‘Olympic mountain’ region to Lukomir, Bosnia & Herzegovina’s highest village (1,469m). The ride will be 4-5 hours with approximately 20% singletrack. We finish the day in the traditional village of Umoljani where we overnight in a mountain chalet run by local family. 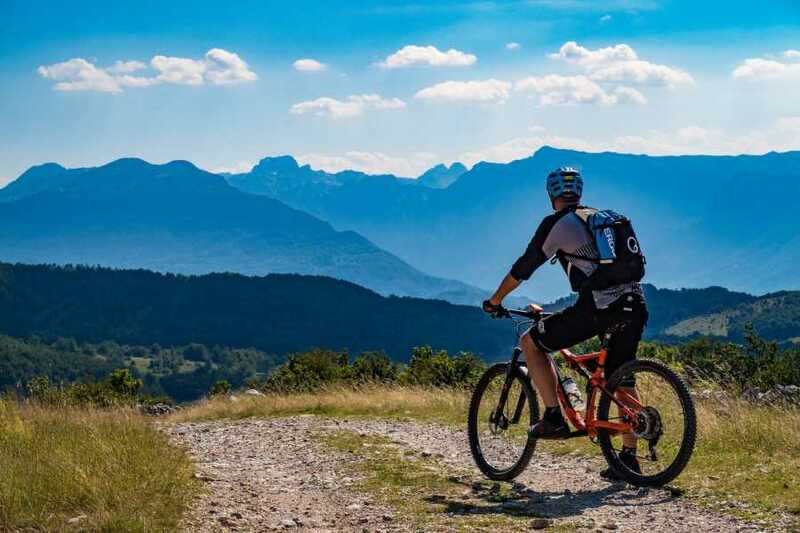 Starting directly from our accommodation, we ride a fantastic ‘three mountain tour’ taking in Bjelasnica, Visocica, and Prenj. The scenery is truly spectacular as we venture into a very remote region. 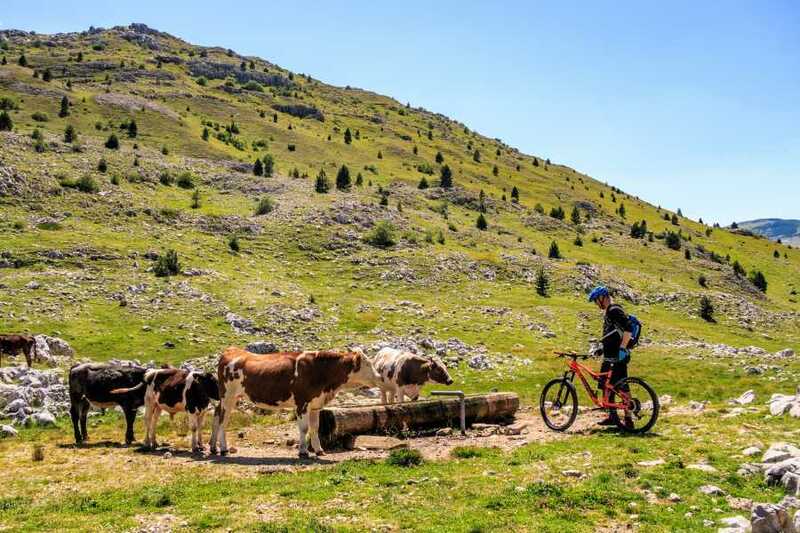 The ride is approximately 5-hours on a mix of gravel and asphalt roads, and it ends with an exhilarating 1,500m descent to Boracko Lake where we overnight. After a 15-minute ride to Borci, we head out on a spectacular ride through the region known by the locals as the ‘Herzegovinian Himalayas’. This is a tough ride of around 5-hours with plenty of climbing on a mix of gravel and asphalt roads. We take in Mt. Velež, before finishing the ride with an incredibly exhilarating road descent to Potoci. From here a 20 minutes ride takes us down to Mostar. 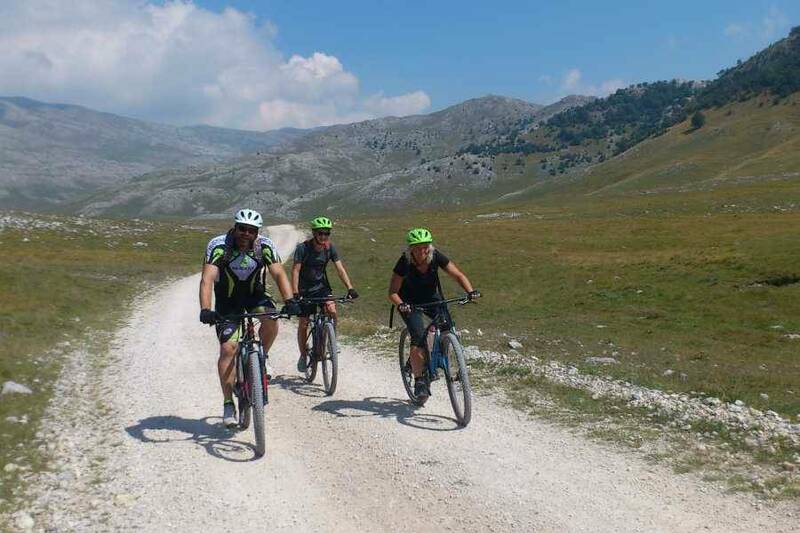 In the afternoon hours, we will take a 2-hour transfer back to Sarajevo, where we finish our 4-day biking journey. What is included: Leader/Support staff: Fully-equipped and experienced English speaking tour leader, vehicle support during days 1 to 4, accommodation for 3 nights in various places: Mountain Hut (Igman mountain), Mountain Chalet (Umoljani village) & Private accommodation (Boracko lake), meals: Breakfast (3x), Lunch (4x), Dinner (3x), rental of Specialized Rockhopper Comp 2015/2016 Mountain bikes & VAT. What is not included: Helmets & water bottles; spare bike parts; international airfare; meals not noted on itinerary; travel insurance; optional tipping to leader, guides and local staff; and items of a personal nature (sodas, alcoholic beverages, laundry, cycling gear, etc.). Options: Helmets and water bottles could be provided by Green Visions on request. What to bring: Cycling gear is recommended/padded shorts, suitable footwear, day pack, 1 liter of water, rain gear, helmet, and water bottle. Please contact us if you need any equipment (helmets, water bottles etc).